[German]Intel has updated its Intel Graphics DCH drivers to version 26.20.100.6709 on April 18, 2019. The driver is only available for 64-bit Windows 10 versions, but is also compatible with the Windows 10 May 2019 Update (Version 1903). At the end of March 2019, Microsoft released driver updates for the ambient light sensor for the Surface Laptop and the Surface Laptop 2. There is also a cumulative firmware and driver update for Surface Studio 2. [German]Under Windows 10, several users seem to have problems installing HIDClass driver updates for HP devices. HID stands for Human Interface Device. [German]Intel doesn’t always have luck when it comes to graphics drivers for Windows. There has been many issues with Intel drivers within the past. Now Intel has announced the ‘Modern Windows Drivers’ model (MWD) for Windows 10. [German]A brief information for users of a 32-bit version of Windows with AMD hardware. Manufacturer AMD has just announced that support for 32-bit drivers for Windows is phasing out. Intel has updated its graphics driver for Windows 10 to version 24.20.100.6286. This update brings some bug fixes, including a fix for YouTube video playback issues. Windows 10: Intel driver updates for AMD systems? 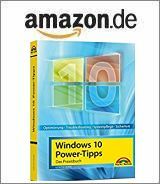 [German]Short question to owners of an AMD system with Windows 10. Have you been offered obscure Intel driver updates for AMD systems in the last few days?